I’ll be joining my Crushkill Recordings​ family at SXSW​ on Tuesday, March 17. 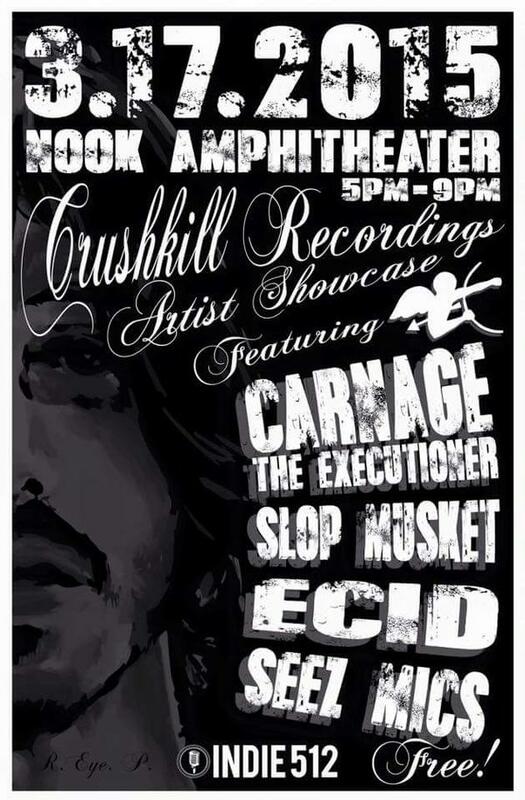 The showcase takes place from 5-9 PM at Nook Amphitheater​ and is FREE. Many thanks to Joey Silva​, Niklas Oliver​, and all of the Eyedea​ fans who keep Crushkill Recordings​ going strong.